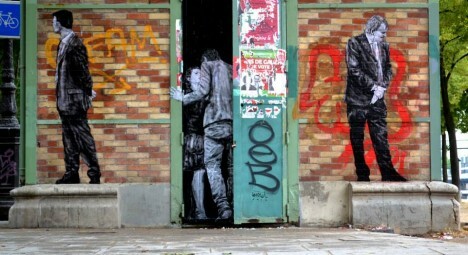 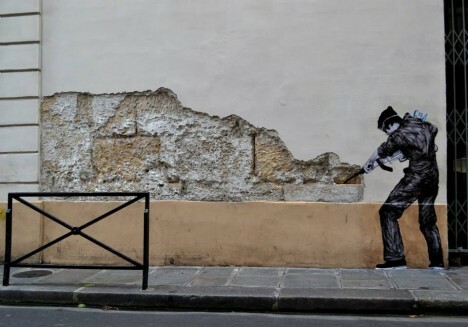 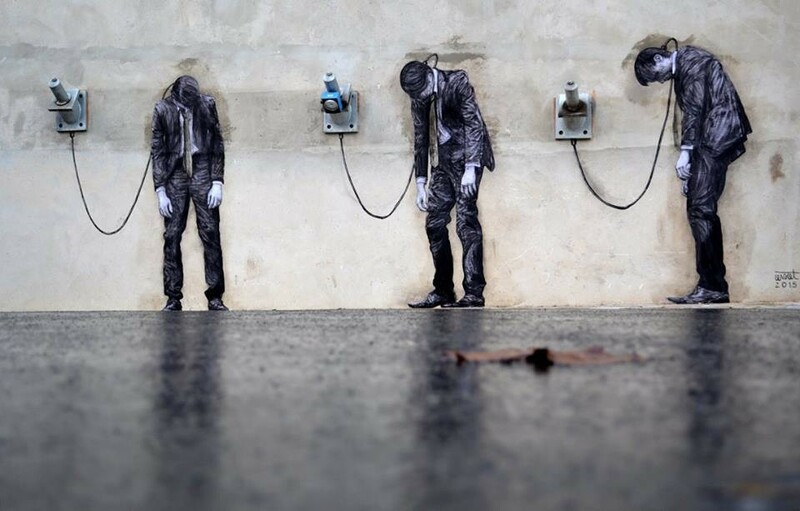 Everyday objects and imperfections in the urban surfaces of Paris become part of strange and unexpected scenes as French artist Levalet incorporates them into life-sized street art. 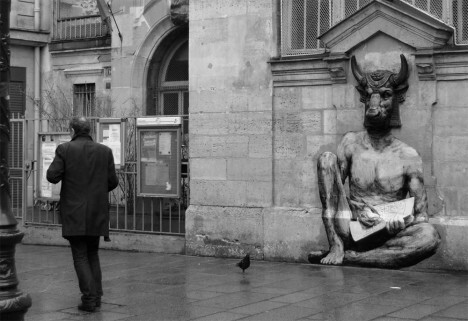 A bull head sculpture becomes a minotaur, map in hand; a figure with a jackhammer goes to work on a damaged section of wall; a display box for advertisements is transformed into an x-ray machine. 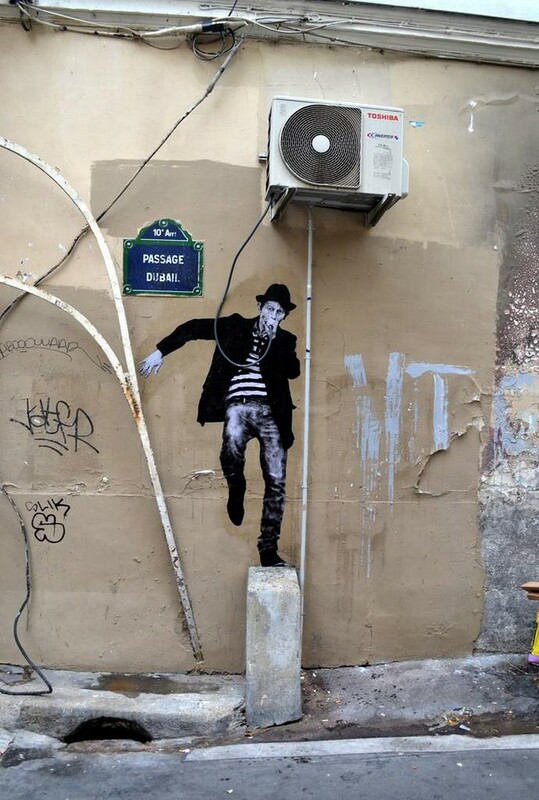 Known by day as an art teacher named Charles Leval, the artist creates humorous scenes that interact with idiosyncrasies and often-unnoticed details in the fabric of the city. 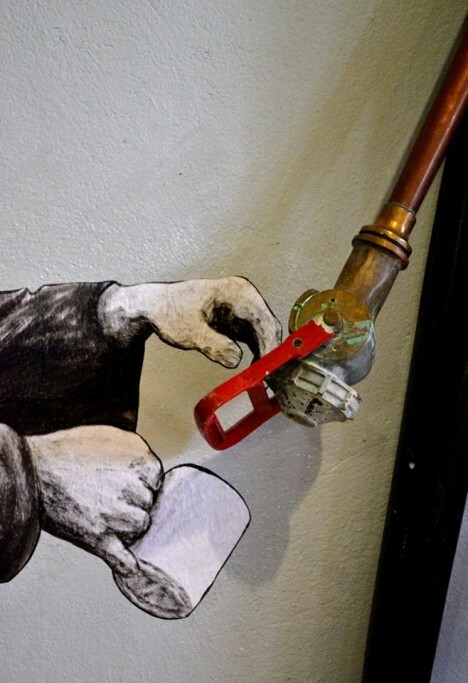 The life-sized wheat paste posters take advantage of everything from pipes and spigots to false windows and concrete recesses. 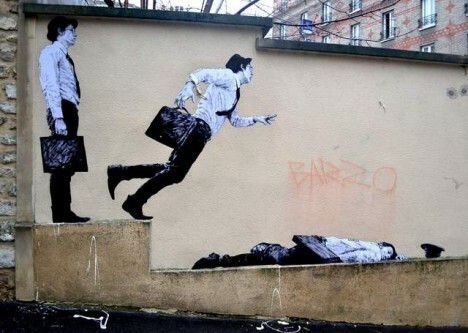 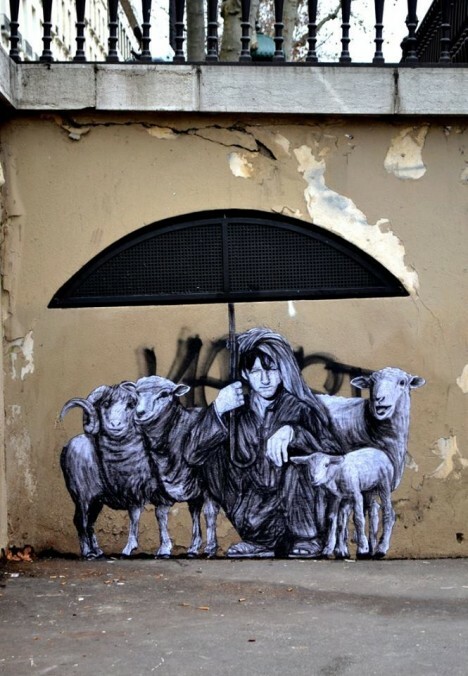 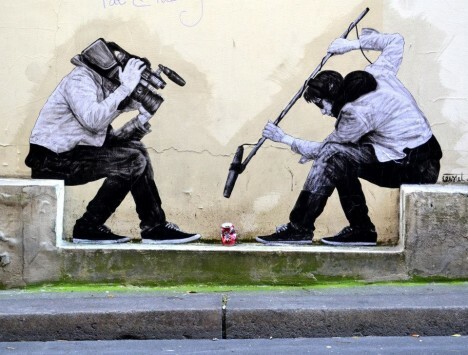 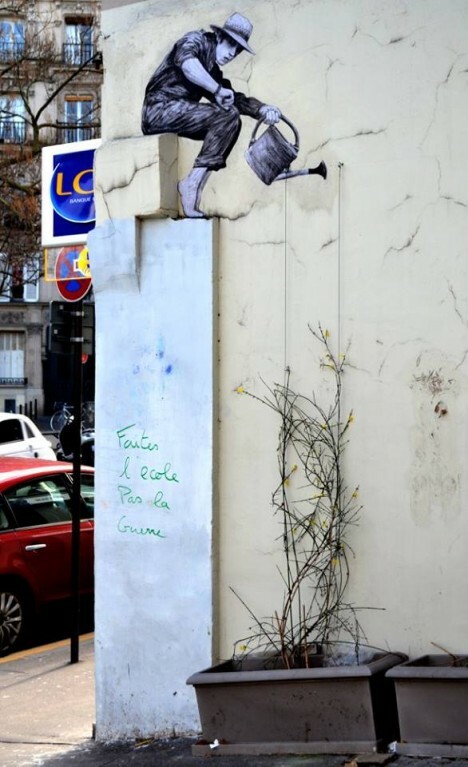 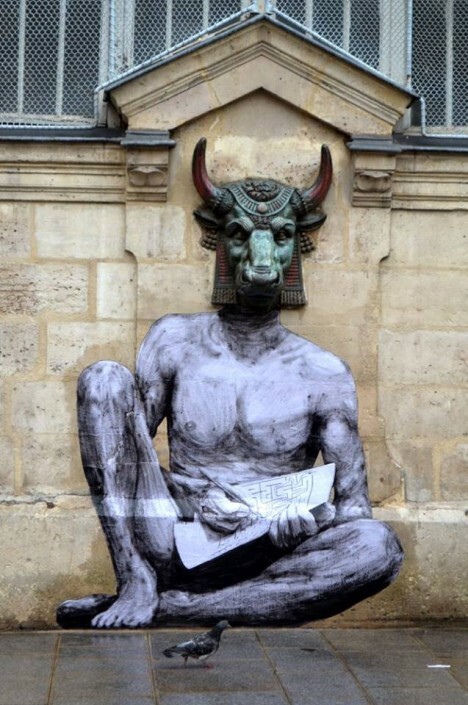 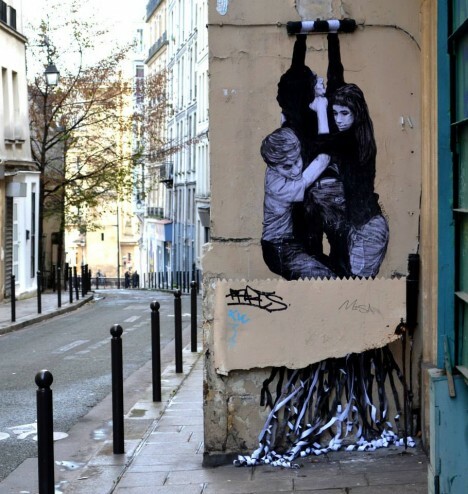 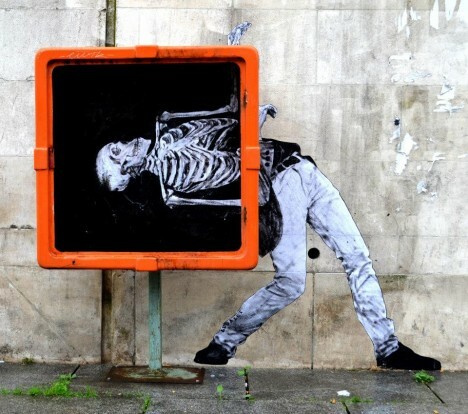 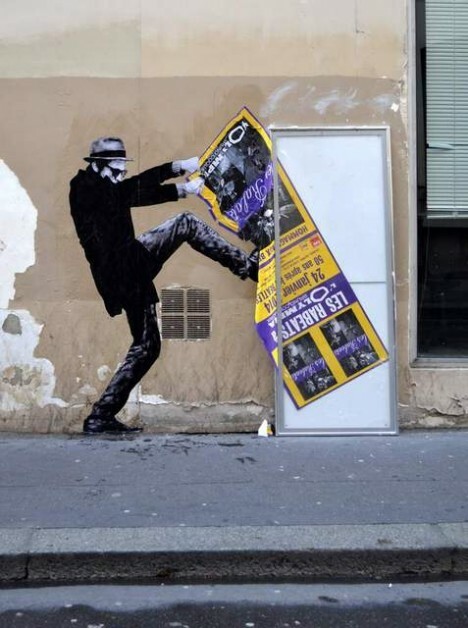 Levalet walks around the city looking for the ideal spots for his work, takes measurements and creates the paste-ups at home before returning to his chosen locations and installing the work.